The numismatic references with the most detailed information on proof Seated Dollars (Walter Breen's Encyclopedia of United States and Colonial Proof Coins: 1722-1977 and Silver Dollars and Trade Dollars of the United States: A Complete Encyclopedia by Q. David Bowers) do not offer much information on the die diagnostics of the 1862. In fact, the Bowers' reference simply restates what Breen wrote in 1977: the date is centered with a slight slant up to the right, while on the reverse two arrowheads are joined and an inner circle is evident at the denticles above the UNITE in UNITED. 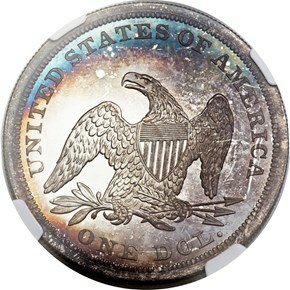 Both authors also state that the Mint also used this reverse die to deliver certain restrike proof 1853 Seated Dollars. 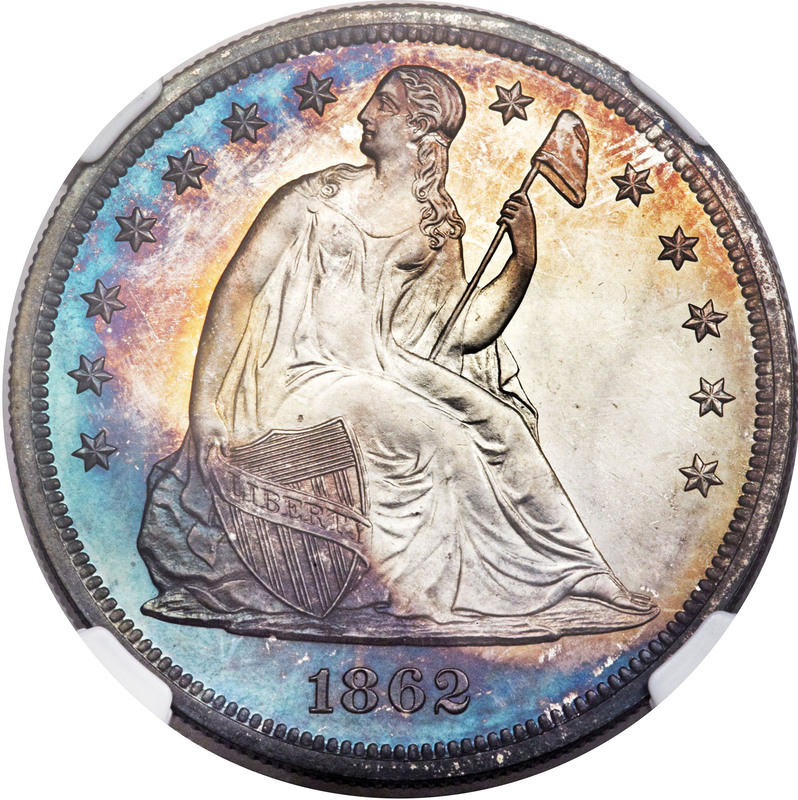 The year 1862 is the first in which the Philadelphia Mint stopped offering proof Silver Dollars for individual sale. A total of 550 proof sets of silver and minor coins were prepared that year, but only 430 sets had sold by February of 1863. Curiously, those sets that remained unsold were not melted. Rather, the coins were locked in a vault, retrieved in the mid-1870s, and offered to collector once again. 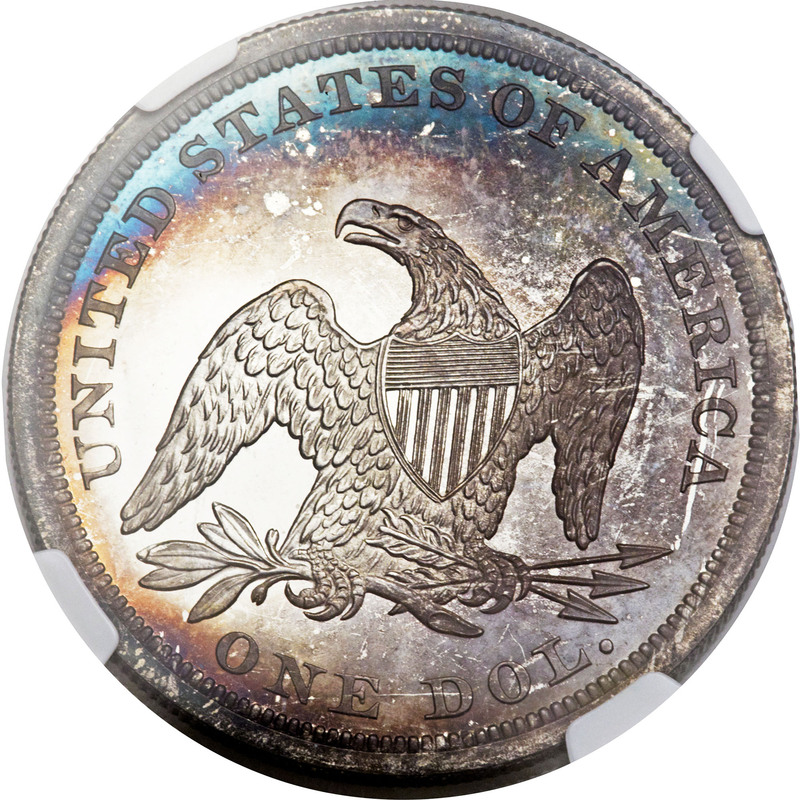 We do not know if the remaining 120 coins sold at that time, but we suspect that most, if not all did since this issue is among the most frequently offered proof Seated Dollars from the Civil War era.